• 2240 square feet , 2 bath , 4 bedroom cape cod “1.5 Story/Cape Cod” – FOR SALE USD $139,000. Valparaiso, IN 46385 This Affordable & Move in Ready Home For Sale! Perched on the end of quiet cul-de-sac & short distance from Saylor Elementary School, this 4 BR, 2 Bath, Cape Cod Style w/2.5 Car Attached Garage on 1/4 Acre Lot is sure to please. Updating has been done for you = nothing to do but move in & enjoy! Inviting Covered Front Porch. Spacious LR w/Picture window & NEW hand scraped wood laminate flooring which continues down the hallway & into the light & bright eat-in Kitchen w/lots of Beautiful Wood Cabinets & handy Pantry Closet, plus Dinette Area has ceiling fan. Family Room off Kitchen w/BRICK Fireplace, NEW Carpeting, plus Sliding glass doors to wood Deck & nice size Fenced Backyard w/storage shed. Freshly Painted throughout-Neutral Tones, white trim + NEW Doors. 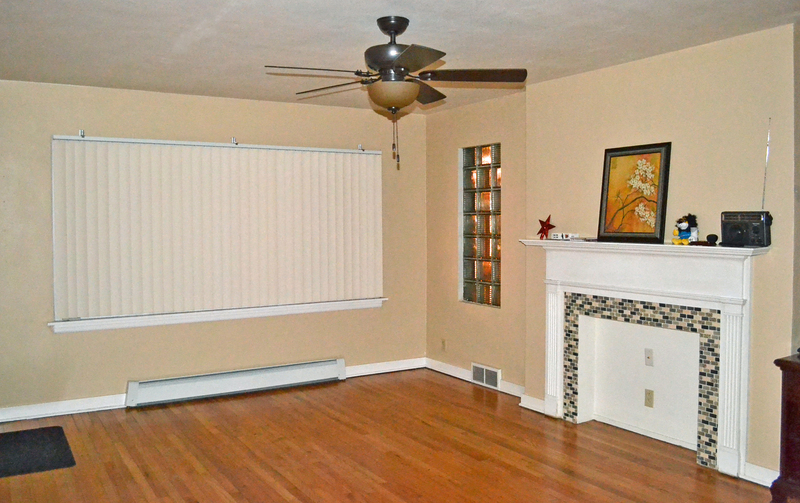 2 BR’s & Full Bath on main level + 2 larger BR’s & another full bath Upstairs. All Bedrooms have NEW Carpeting. NEW ROOF. NEW FURNACE. Washer & Dry in main level Laundry Stay. Immediate Occupancy Day of Closing. Whiting Indiana Real Estate for sale by F.C.Tucker. Real Estate is affordable in Northwest Indiana! Consider a move to 46394. 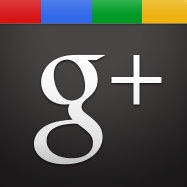 Google Map Whiting, Indiana 46394. Whiting Indiana Real Estate For Sale F.C.Tucker. Sandwiched between the Lake Michigan shoreline and Wolf Lake & Park, Whiting Indiana is known for it’s annual famous Pierogi Festival! 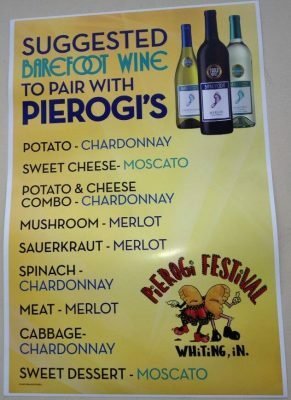 Whiting Indiana Pierogi Fest Wine pairing suggestions! Whiting is a border city to the State of Illinois and the City of Chicago. It makes a great place to call home if you are seeking a nearby commute to the big city! Most Homes in the Robertsdale neighborhood of Whiting enjoy just a short walk to both the lake & park! 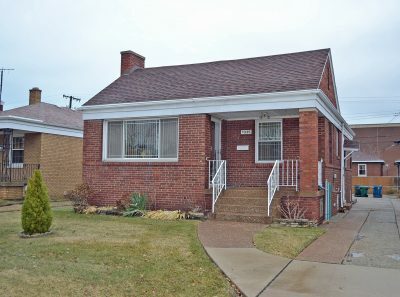 Charming Brick Bungalow For Sale in Whiting, Indiana. Great Location to enjoy the seasons, being close to Wolf Lake Park and down the block is the grocery store. 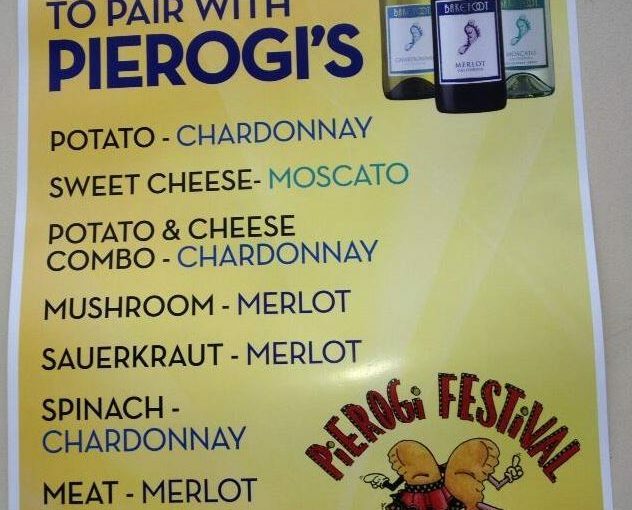 Town Restaurants and annual Pierogi Fest activities are also nearby. With 2220 Total Square Feet this Home offers 3 Bedrooms, 2 Baths, 2 car garage (528 Sq.Ft.). Beautiful original (refinished) Hardwood Floors. Updated main baths. 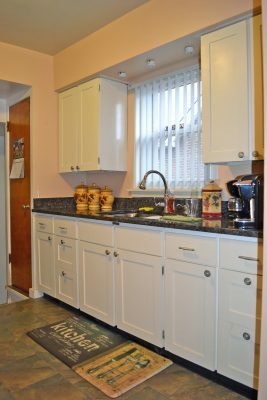 Stainless stove, range, hood & refrigerator in a galley style kitchen with granite counter top & white cabinets. Adjacent dining room. Spacious 3rd Bedroom currently used as Den has built in shelves. Partially finished basement with storage space and 3/4 bath plus 2 more rooms to suit your needs. Utility and Laundry area in basement is unfinished. Washer & Dryer stay! Updates include: Newer roof, windows, furnace/boiler, garage door, tuck pointing. Window Blinds. Near Indiana toll road and the Chicago Sky way for ease of commute to the windy city. Great for those starting out or looking to downsize. Showings by appointment with day before notice please. Whiting Indiana Real Estate for sale by F.C.Tucker Charming Brick Bungalow For Sale 46394. Why pay rent when you can own this home for less? Whiting Indiana Real Estate For Sale by F.C.Tucker 1st Team serving NW Indiana. Here is a link to the price and room measurements plus more photos and a virtual tour.Local Greater Northwest Indiana Association of REALTORS Multiple Listing Service website or GNIAR MLS is the best place to search for homes. Whiting Indiana Real Estate for sale by F.C.Tucker Galley Style Kitchen Real Estate For Sale 46394. If you are looking for affordable housing options, consider this Lake County Indiana property. 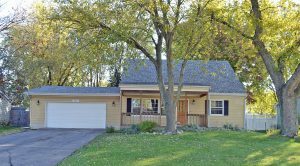 Give us a call @ 219-309-9930 to schedule a private showing of this home before it’s sold. $3.7 billion in annual sales. More than 18,000 home buyers and sellers represented annually. F.C. Tucker Company is Indiana’s largest independently owned comprehensive real estate firm. More than 40 offices and more than 1,500 sales associates throughout Indiana. Less than one percent of all real estate firms have the longevity of F.C. Tucker. Founded in 1918, the company’s family of businesses includes a full range of real estate & relocation services. F.C. Tucker has earned a reputation for its exceptional service, experienced sales associates and “Golden Rule” commitment to its clients.